In the face of rising climate and disaster risk, investments in nature-based solutions can save lives and safeguard prosperity in a cost-effective manner. Nearly half the world’s population – some 3.5 billion people – lives near coasts. As climate change exacerbates the effects of storms, flooding, and erosion, the lives and livelihoods of hundreds of millions of those people will be at risk. 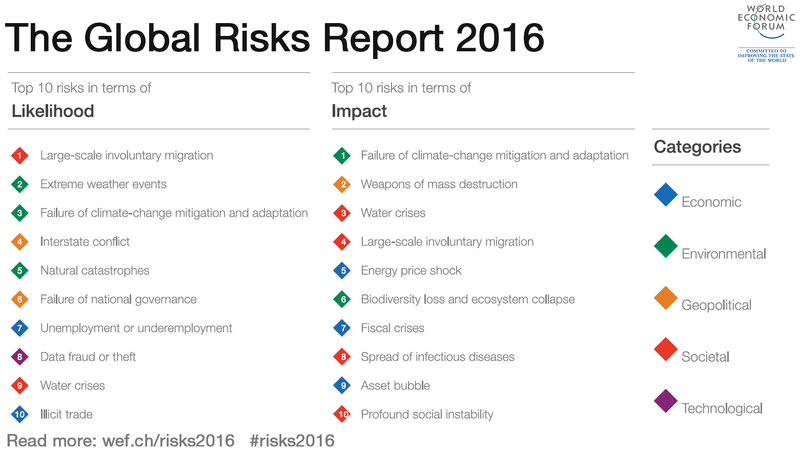 In fact, the latest edition of the World Economic Forum’s World Risk Assessment Report names failure to adapt to the effects of climate change as the single greatest risk, in terms of impact, to societies and economies around the world. Beyond endangering lives, more frequent and stronger storms could cost many billions of dollars, owing to infrastructure damage and lost revenues from farming, fisheries, and tourism. And, as the Harvard Business Review recently noted, the projected cost rises with each new study. Yet the international community currently spends on risk mitigation less than one-fifth of what it spends on natural-disaster response. Even the insurance industry – comprising what may be the most risk-averse companies in the world – sees the potential in natural solutions. Over the last decade, insurers have paid out some $300 billion for climate-related damage, often to rebuild the same vulnerable structures. It is not surprising, then, that the reinsurer Swiss Re has conducted studies on mitigating the costly risks of hurricanes to coastal communities. Nature can also help to protect livelihoods. A Red Cross-led mangrove restoration project in Vietnam not only reduced damage to dykes and other built infrastructure, but also resulted in higher aquaculture yields and thus more income for the local communities. A mangrove and coral restoration project in Grenada – a joint effort of the Red Cross, the Nature Conservancy, and the fishers of Grenada’s Grenville community – has also shown great potential to increase resilience. Just 30 meters of reef and coral have been shown to increase substantially the population of lobster, conch, octopus, and urchins. Climate and disaster resilience is a challenge that spans across sectors. So too must our solutions. Such collaborative efforts are vital to the development and implementation of more effective preventive strategies. The World Bank, the Nature Conservancy, and partner researchers (including ecologists, economists, and engineers) have recently published a report offering guidelines for such cooperation. Specifically, the report recommends calculating the value of coastal ecosystems in terms of protected capital and infrastructure, based on approaches commonly used by the insurance and engineering industries. In the face of rising climate and disaster risk, investments in nature-based solutions can protect lives and safeguard prosperity in a cost-effective manner – all while preserving imperiled natural ecosystems around the world. It is time for governments, business, and NGOs alike to recognize that when it comes to fighting the effects of climate change and protecting coastal communities, preserving and restoring nature may be the smartest investment we can make.